In part one of our blog series, we talked about a few ways that you can avoid flat tires. 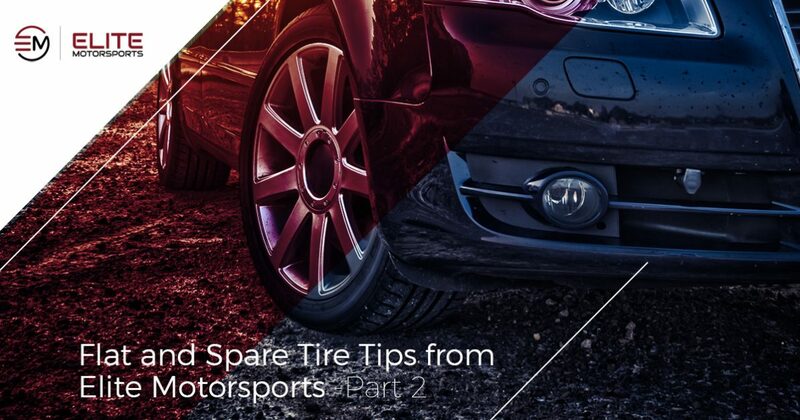 Concluding in part two, here are a few more helpful tips for avoiding flats, as well as taking care of your spare tires. Even if you get your tires replaced all at once, tires sometimes can wear unevenly. From weather conditions to unexpected start and stop driving, plenty of factors can cause individual tires to wear unevenly. One way to even out the amount of wear on your tires is to get them rotated every so often. In the instance that you notice one tire is getting worn quicker than others, get it checked out to make sure that this isn’t an indicator of larger issues. Driving on tires that are unevenly worn can also lead to getting a flat, as that individual tire will wear down much faster, weakening it along the way. Yes, accessing it can sometimes be a bit of a pain, but it’s better to be safe than sorry. Because of the fact that your spare tire doesn’t get much use, it’s important to check up on it from time to time to make sure that it’s still in proper working order. Check the tire pressure to make sure that it’s properly filled, making sure that there are no leaks, cracking or rot. With sitting in your trunk for extended amounts of time, spare tires have a tendency to sometimes dry out when not in use. With this in mind, checking it over to make sure that it is fully functional will save you in the instance that you do get a flat. If you find that it needs to be fixed or replaced, don’t wait to take care of this. You’ll thank yourself when the times comes for you to use it. In the instance that you have gotten a flat and have no choice but to drive on your spare tire, do proceed with caution. While yes, driving on your spare is better than not driving at all, your spare tire is not meant for rigorous or extended use. If you must drive on the freeway, drive in the slowest lane with your hazards on, keeping speeds lower than 50 mph if possible. Furthermore, if you’re going to drive on your spare, try to keep it to a minimum. Driving on your spare for an extended amount of time is highly discouraged for a wide variety of reasons, and you should replace your tire as soon as possible. Quite simply, these are just a few tips for avoiding flat tires and driving on your spare tire. At Elite Motorsports, we are committed to providing the greater Woodland area with the best in tires, wheels, lift kits, alignment, suspension systems and more. Whether you’re looking to entirely replace your current set of tires or match an individual one to replace a flat, Elite Motorsports is here to provide you with the absolute best in customer service and satisfaction. For more information on our products and services, contact Elite Motorsports today!